Editor’s note: Woodshop News received an unsolicited position paper from the Power Tool Institute on July 22 in regards to SawStop founder Stephen Gass’s petition before the Consumer Product Safety Commission. Since this issue has been repeatedly debated in Woodshop News, and PTI had previously made few public comments, the decision was made to publish a portion of the paper as an opinion piece. The Power Tool Institute is a trade association comprised of the nation’s largest manufacturers of portable and stationary power tools. Power Tool Institute members have invested hundreds of millions of dollars in an effort to make table saws and other power tools safe when used properly. As a result, injury rates are declining even as saw usage has more than doubled in the last 10 years. The updated voluntary standard for table saw safety, UL 987, includes new guard designs and other safety features and the results have been positive. In fact, since 2007, manufacturers have introduced more than 800,000 saws with newly designed guards that meet the requirements of the UL 987 safety standard. To date, there have been no reported blade contact injuries on a table saw with the new guard. These new guarding systems are modular and offer excellent visibility and ease of removal and installation. The guards protect the operator from blade contact as well as injuries caused by thrown objects from kickback. The Consumer Product Safety Commission is being asked to impose mandatory standards, requiring a specific technology for all table saws. The company petitioning the commission to act is SawStop, which is owned by patent attorney Stephen Gass. Mr. Gass, who holds an extensive network of more than 70 U.S. patents (with more than 120 patents filed), has represented that SawStop’s patent web would give it a monopoly if the commission were to adopt the standard requested in SawStop’s petition. If this is so, the commission would be imposing a design standard rather than a performance standard as the Consumer Product Safety Act requires. This proposed standard would generate millions of dollars for SawStop while hurting consumers, undermining the development of new table saw safety technology and creating a monopolistic advantage for SawStop in the marketplace. SawStop saws are available to any consumer who chooses to purchase them. SawStop technology is currently available on belt-driven saws such as cabinet or contractor saws. These cabinet and contractor saws constitute 30.6 percent of saws on the market. SawStop has stated that it hopes to develop a portable bench-top saw with SawStop technology that will cost under $1,000. Portable bench-top saws on the market range in price from $99 to $600 for a premium model. While each company would independently establish its own pricing, the price of a current inexpensive saw model could increase in price from $100 to approximately $400 and the price of a current professional bench-top saw model could increase from $500 to approximately $800. 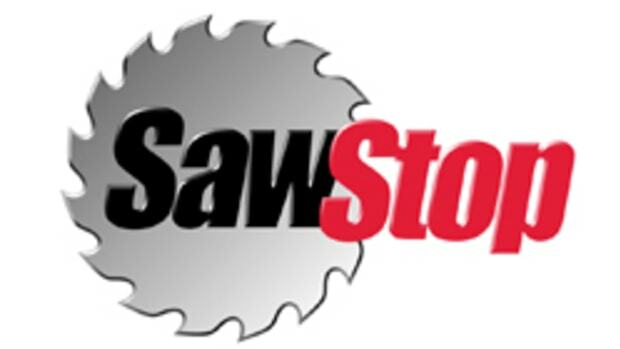 SawStop is demanding an 8 percent royalty on the retail value of all table saws with its technology, among other onerous terms. If the SawStop petition were granted, it could be tantamount to the elimination of portable bench-top saws from the market due to the cost of compliance. The increased cost of even the least expensive table saws would result in power tool users resorting to unsafe methods to accomplish cuts normally performed on a table saw. SawStop is neither appropriate for all table saws nor does it mitigate injuries caused by kickback or ejected material. SawStop’s own data show that operators are nearly five times more likely to contact the SawStop’s saw blade as opposed to an operator of a conventional saw. This increase in the accident rate on SawStop saws is likely due primarily to a user’s decision to use the blade guard less frequently because of a “sense of security” in having the SawStop flesh-sensing technology on the saw. This absence of the blade guarding system will result in an increased rate of facial or eye injuries from high-velocity particles ejected by the saw blade as well as injuries caused by workpiece kickback. The Power Tool Institute encourages the commission to work with the power tool industry and others in the table saw community to promote safety through the voluntary standard process. The voluntary standard is already working, has demonstrated positive acceptance by table saw users and is in the best interest of safety. Just finished reading your editorial, “The housing recovery: waiting and wondering,” (Page 6, July issue) and without wanting to make things worse, wish to point out a problem that no one seems to have considered. Housing will never go back to the good old days. The boomer generation has exited the market like a pig going through a python — never to return. If you recall, this oversized group went through the school system, marriage statistics, child bearing and house buying like nothing we had ever experienced. The only thing left is to devastate Social Security, the medical system and, finally, the funeral industry. It was an unnatural occurrence that will not repeat. Demographics will dominate everything as it always does.